One of the best par 4 holes in Sussex. Out of bounds down the left, your drive needs to be well down the right side of the fairway, or at least level with the copse of firs, otherwise the green cannot be seen. Look out for the greenside bunker on the right which will catch any wayward shot. 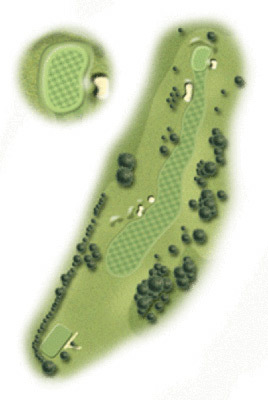 The 11th is a straightforward par 4, but take care as the tee can tempt you into driving down the right. Big hitters will reach the bunkers on both sides of the fairway: the sensible shot is just right of centre short of the traps. 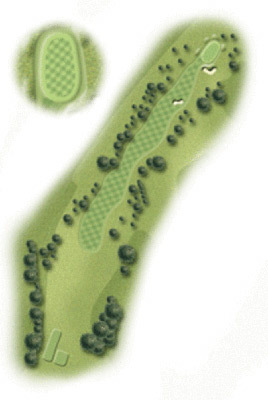 A greenside bunker on the left is clearly visible, but the one on the right is not! The green is mainly flat. The Rabbit fencing along the right hand side of the fairway is an “immovable obstruction” and does not form part of the boundary of the course. 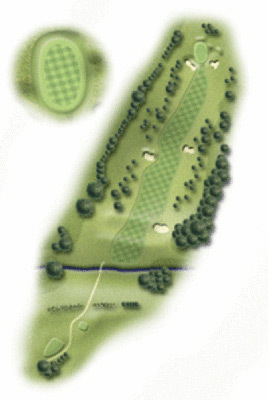 The 12th hole has a blind tee shot over the brow of a hill leading down to the green which is the other side of a stream called the Black Ditch. The percentage tee shot is level with the bunkers which are dangerously placed on the left of the fairway on the brow of the hill. Big hitters can carry the bunkers and run down the sloping fairway and the ball should pull up short of the stream in front of the green. 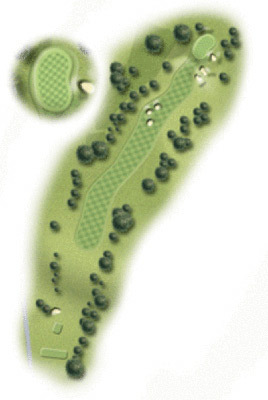 The second shot requires good club selection to carry the stream but not to overshoot the green which slopes gently from left to right and down towards the stream. The 13th is an excellent par 3 from the lower back tee. With pot bunkers short and left and a greenside bunker on the right, any pushed or sliced shot will end down in “Dingly Dell”. The green slopes left to right and front to back and is difficult to hold off the tee. 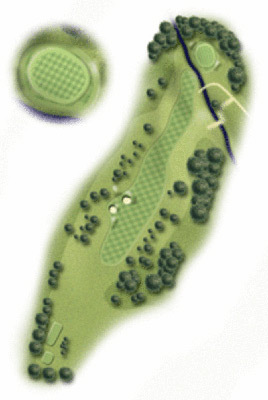 The 14th is a long par 4 needing a good drive down the middle of the fairway to have a chance of seeing and reaching the green in 2. Too much left off the tee and you will be blocked out by the trees, too much right and the rough and bushes will make your second shot difficult. Beware of the greenside bunker on the right and the slope off the green on the left. 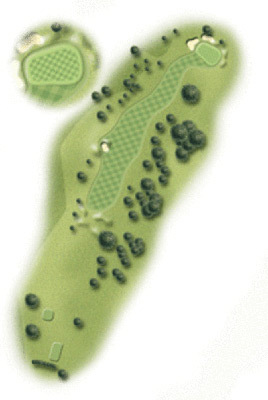 The 15th is a relatively short dogleg left of 340 yards. The tiger line from the tee is over the fairway bunkers on the left. A right hand greenside bunker catches any slightly wayward shot to the green which slopes from front to back and from right to left. 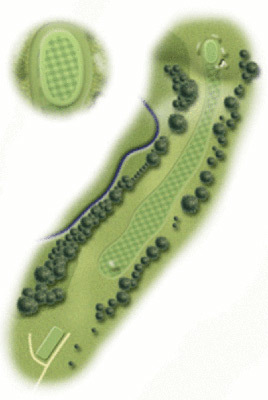 The 16th is another short par 4 with a left to right dogleg off the tee and with strategically placed trees on the right making it a challenging drive. You need to be left off the tee to avoid the trees on the right but go too far and the bunker on the edge of the fairway will catch you. 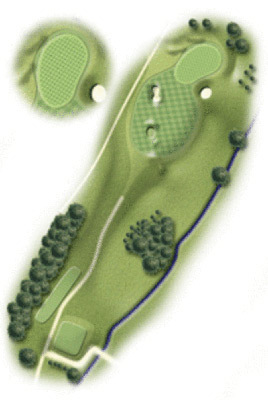 The green which slopes from back to front is protected by trees on the right and a bunker to the rear. 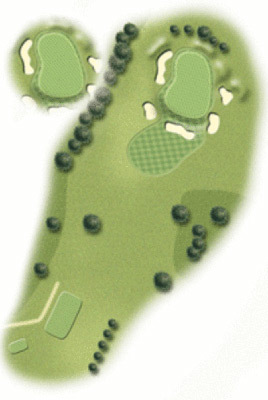 The 17th is a straight forward par 3 but make sure you take enough club to carry the cross bunker in front of the green. Greenside bunkers left and right with a gently sloping green back to front. 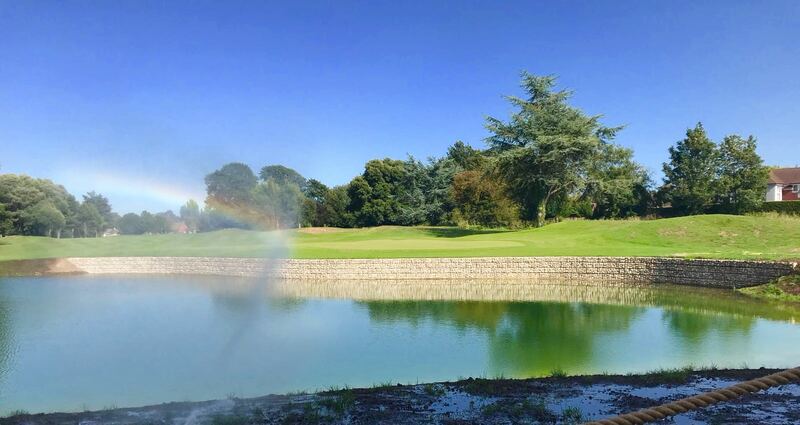 The newly designed 18th is our stunning new flagship hole, playing towards our clubhouse with a green short of the new lake.